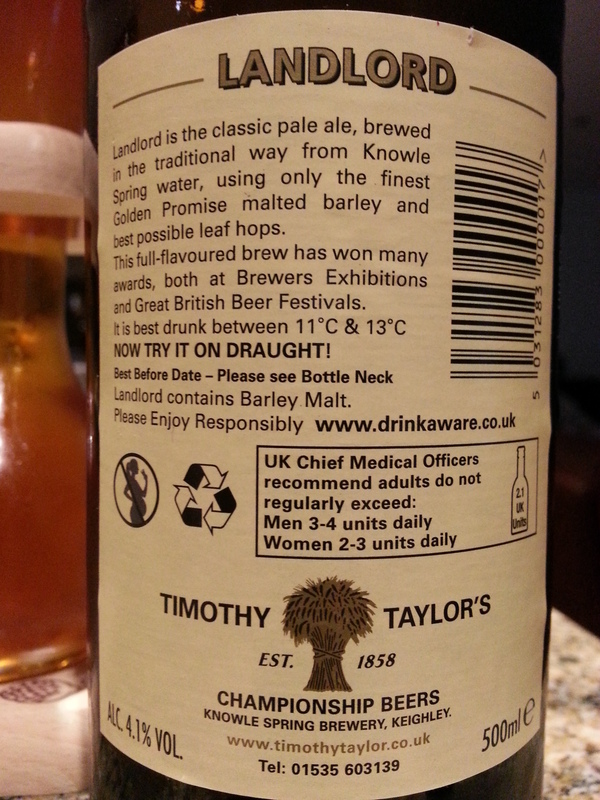 Timothy Taylor’s Landlord – Knowle Spring Brewery (Keighley, England) | Justintoxicated. Visual: Pours clear medium orange with a decent creamy head, a small layer of retention, sticky lacing, several clustered fast streams. Finish: mild citrus-soft bitter hops, lingering bitter hopped finish. 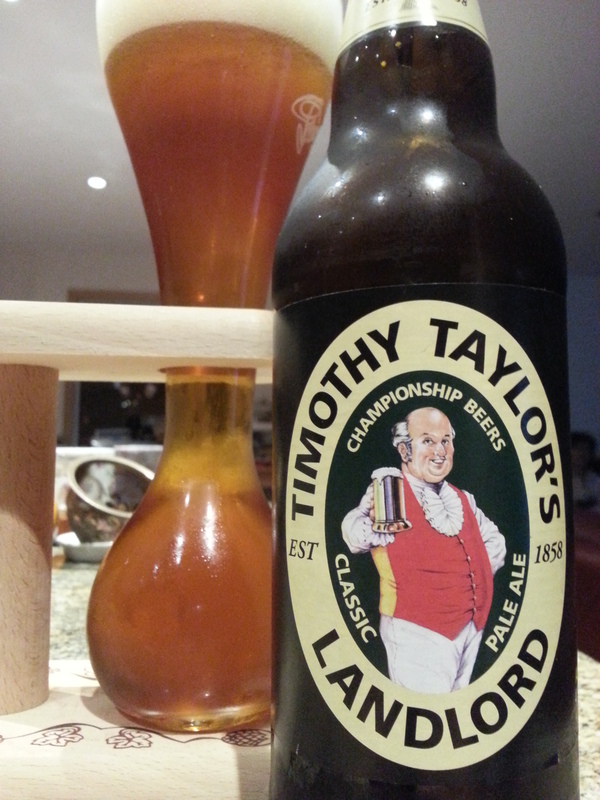 Summary: A clean, easy-going, sippable yet well-bodied brew. Not outstanding but decent.